← So You Think You Want to Get a Ph.D.? Rather than hunkering down in well-stocked bunkers, liberal/progressive Preppers imagined leaving the U.S. for other more enlightened shores, as found in Canada or Western Europe. 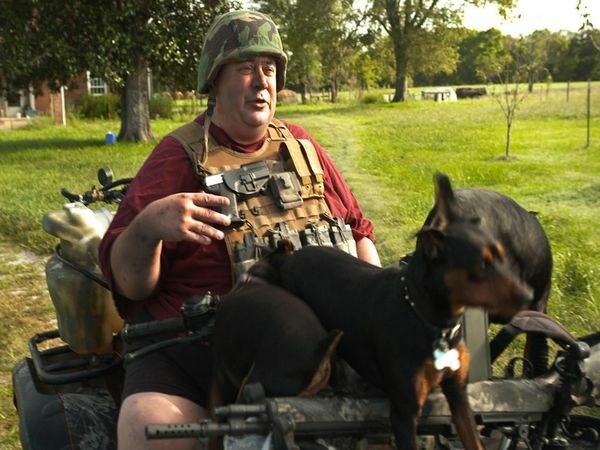 Like present-day Prepperism, I suspect that liberal Prepper imaginings provided a satisfying retreat from a larger political context reality they felt unable to influence. This entry was posted in Kenny Paul Smith and tagged George W. Bush, Liberalism, National Geographic, Obama, Preppers. Bookmark the permalink. I like this line of reasoning, especially as it hits on at least one common denominator, which is the relative sense of helplessness and disconnection from processes that impact one’s life. What interests me here in particular in light of your comment on the “scope” of these two movements, is how claims are situated in relation to: 1) a reasonable assessment of the situation at hand (i.e., how many variables are being factored-in, tied together, and weighed against counter evidence; and conversely, 2) how the perceived enemy/threat is variously mystified, reified, and misrepresented in order to justify these positions. 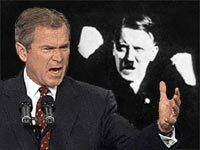 My thinking here, to draw on your Hitler example, is that while both Bush and Obama have been compared to Hitler and for a variety of reasons, it would seem that the “liberal/progressive” charge is at least closer (on the whole) to a validity claim given legitimate charges of war crimes surrounding Iraq and what we might call proto-fascist tendencies exhibited by his administration. Whatever else we might say about Obama’s policies in this regard, the Hitler comparisons with him tend toward a conflation with other un-thematized signifiers like “communism,” “socialism” and then tied to concerns with healthcare and the like. So my question is whether we can speak of a qualitative as well as a quantitative difference between the ways in which so-called conservatives and liberals are prone to apocalyptic thinking based on a relative proximity to reality?
. While I think Haidt hypostatizes “liberals” and “conservatives” in ways that are often problematic, he does touch on a number of issues that you allude, including the tendency to defend certain ideals uncritically. While I think this claim is defensible in general, Haidt seems to present both “sides” as equally problematic and makes it seem as though irrationality is pervasive and so in the end its all a wash. While I don’t get this sense at all from your comments, this may be an interested point for analysis and comparison. Thanks for this wonderfully thoughtful response. I’m intrigued by a number of your suggestions. Indeed, you’ve got one or two potential Bulletin posts here, including a mini-book review that would fit nicely under our “book notes” series. Many many thanks.